France youth international defender Mamadou Doucoure is in good hands at Borussia Mönchengladbach. The 18-year-old recently left boyhood club Paris-Saint Germain FC to sign a five-year deal at the BORUSSIA-PARK, where he will look to follow in the footsteps of the likes of Andreas Christensen and Nico Elvedi in treading a path into the first team. "We're delighted that Mamadou Doucoure has decided to join Borussia," said Gladbach sporting director Max Eberl. 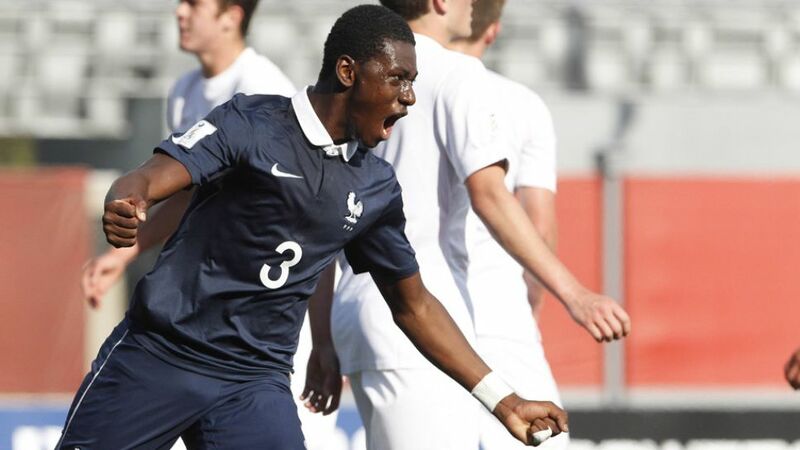 "He is a huge talent and there were lots of big clubs looking to sign him. With this transfer, we are continuing our tradition of bringing young players with lots of potential to the club and giving them an opportunity to take their careers to the next level." Christensen, for one, can attest to that. The Danish defender joined Borussia on loan from Chelsea FC last summer having largely played reserve team football for his parent club, but he has swiftly become a regular with the Gladbach seniors and was even voted the club's Player of the Year by the fans. Doucoure could hardly wish for a more encouraging example.